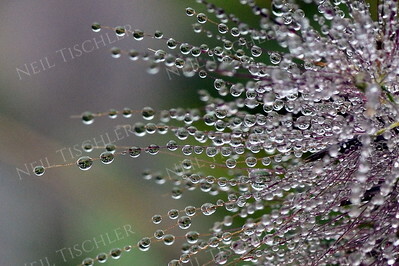 #1138 Water droplets dangle from the narrow fibers of an ornamental grass blossom. 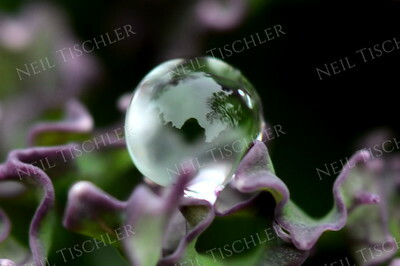 #1104 A single water droplet forms a perfect sphere perched among the folds of a purple kale leaf. 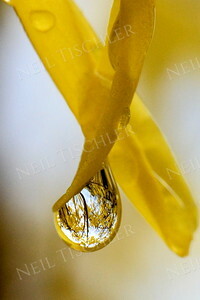 #1103 A water droplet dangling from a Forsythia blossom in spring. 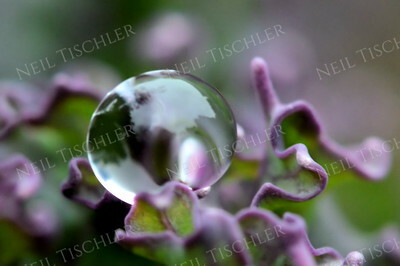 #1102 A single water droplet forms a perfect sphere perched among the folds of a purple kale leaf. 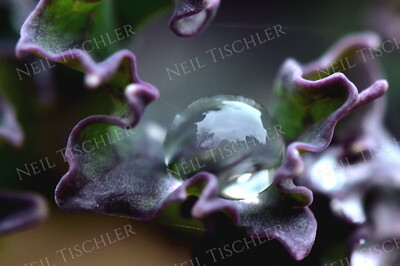 #1101 Single water droplet forms a perfect sphere perched among the folds of a purple kale leaf. 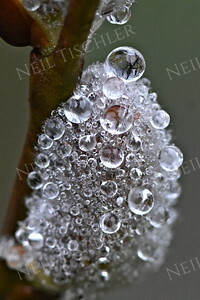 #1098 Tiny water droplets hang at the intersections of a spider web. 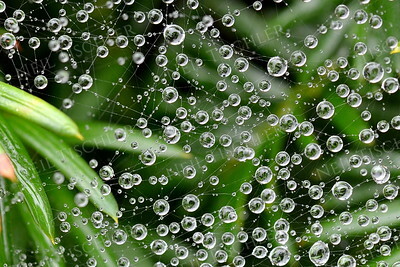 #1097 Tiny water droplets hang at the intersections of a spider web. 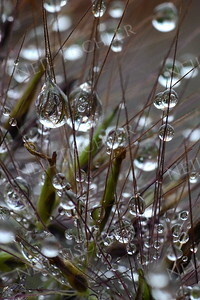 #1096 Water droplets dangle daintily along the thin fibers of an ornamental grass blossom. 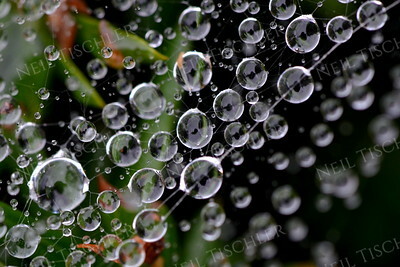 #1095 Tiny water droplets populating the intersections of a spider web. 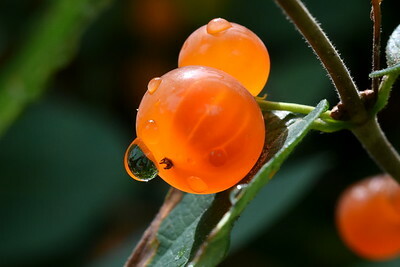 This is a panoramic crop with a ratio of 2.75 x 1. 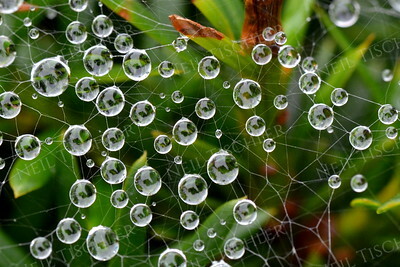 #1094 Looking Earth-like, these tiny water droplets form at intersections of a spider's web. 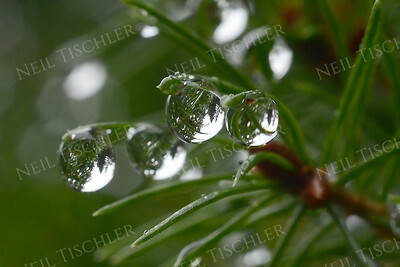 #1091 Tiny water droplets looking Earth-like at the intersections of a spider web. 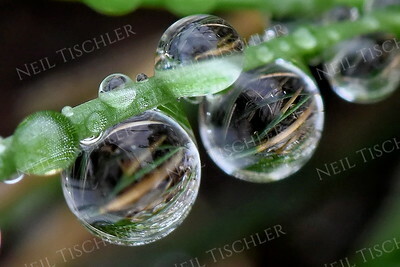 This is a panoramic crop with a ratio of 2.75 x 1. 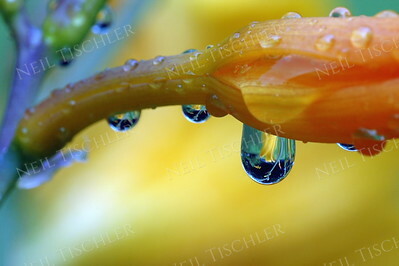 #1058 Water droplets perch and dangle along the pistil of a yellow daylily flower. This is a tight crop of the center of image #1027; do not attempt to print very large. 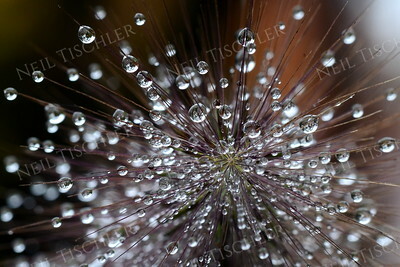 #1053 Water droplets dangling from the narrow fibers of an ornamental grass blossom. 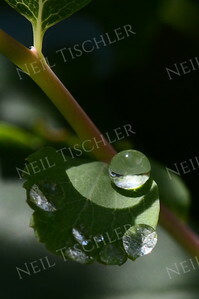 #1050 Spherical water droplets perch impossibly along curved leaf surface. 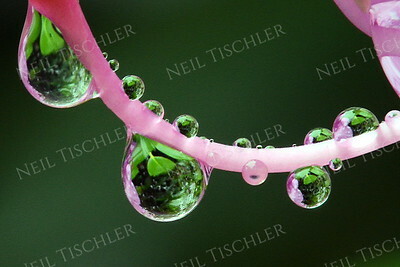 #1035 Water droplets maintain a delicate attachment to the flower pistil of a pink rhododendron, following a spring rain. 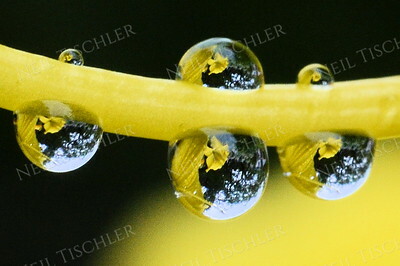 #1027 Water droplets perch and dangle along the pistil of a yellow daylily flower. 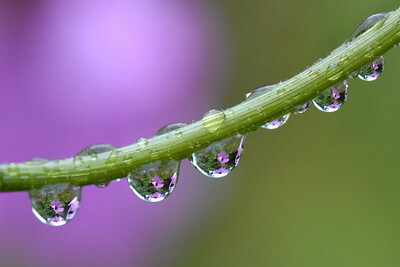 This is a panoramic crop with a ratio of 2.75 x 1. 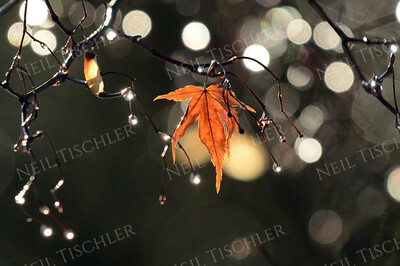 #997 Autumn sunlight streaming through out-of-focus water droplets on a Japanese Maple. 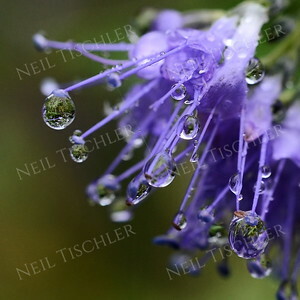 #995 Water droplets dangle from the thin filaments of a Bluebeard shrub blossom. 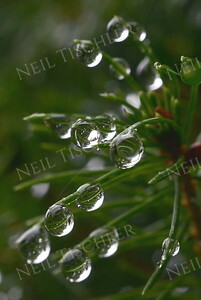 #422 Picture taken while misty rain was still falling as sunlight burst through the clouds. 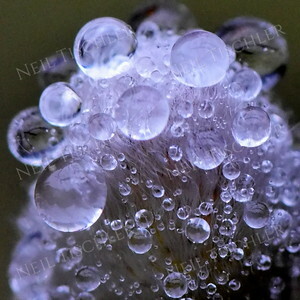 Image enhanced to bring out flower blossoms inside water droplets.